Home / Archive by category "Leslie’s Blog"
Welcome to Leslie’s Blog! This is the perfect place to find all your Sarasota, Florida wedding needs. 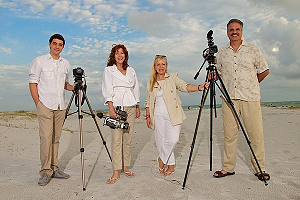 Be it video tips, photography, catering, wedding cakes, bridal dresses, tuxedo or wedding venues, Leslie’s Blog has an extensive listing of the best wedding services in Southwest Florida. Visions Unlimited wants you to have the happiest and most gorgeous wedding with blissful memories that will last forever. Creating cinematic wedding videos is what we do best.